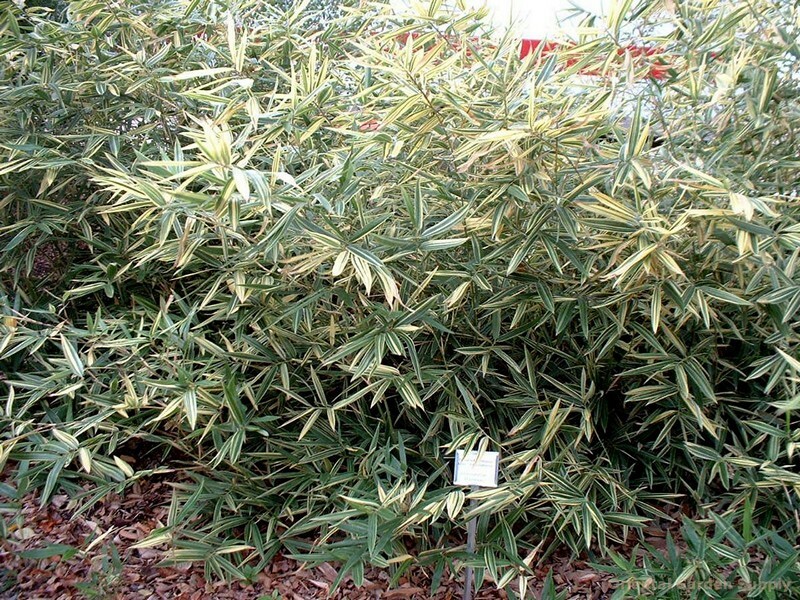 Product Information : A running bamboo from Japan thought to be a natural hybrid between Sasa veitchii and Ph. nigra Henon. Strikingly attractive leaves variegated in cream and green. Colors persist throughout the year. Mature Size : 10' x 1 1/4"